If you have already bought the flawless paintings and artworks for the interior decoration of your space but are still clueless in finding the perfect spot to assemble the artwork in an appealing and interesting pattern, we understand the struggle. 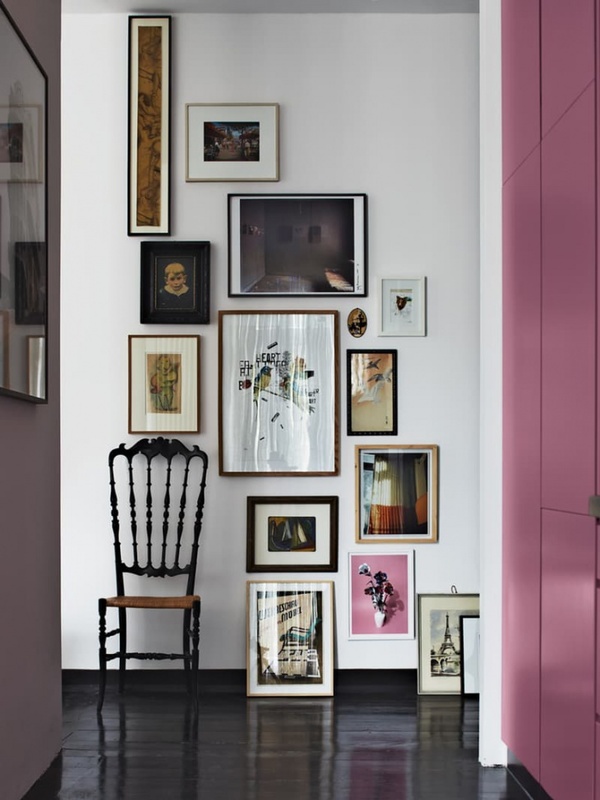 Although hanging the artwork might not seem like a humongous task but still if the painting doesn’t look engaging in the spot, it ends up making the look of room off-putting and dull. We today bring to you 10 easy ways to interestingly arrange and decorate the artwork on your walls, and make it the focal point of your room. 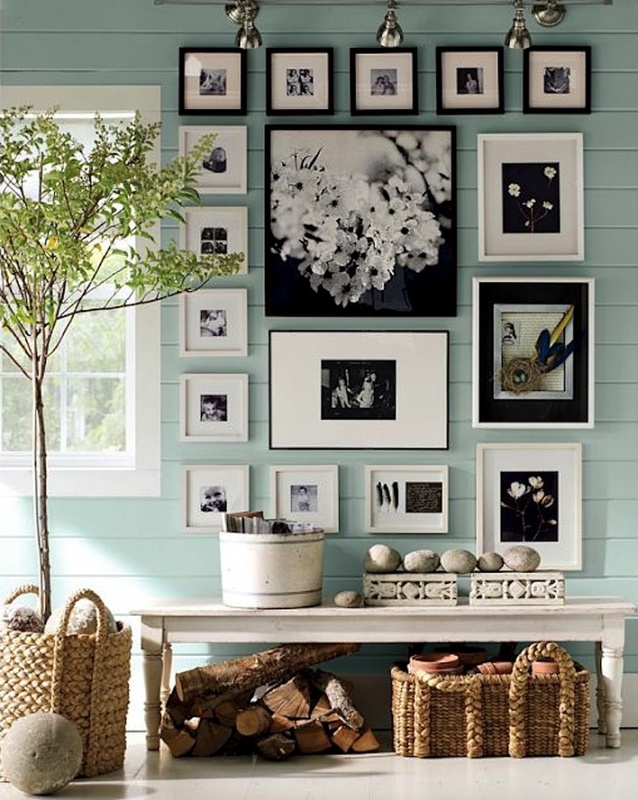 If you have the traditional white walls in your home, gallery wall is the best way to add personality to your space. Fill up every inch of the space on the wall including the area around the door frame. Neutral colour and simple frames help to keep the appearance of the room subtle and not make the look too overbearing for the eye. It might seem odd, but layering your artwork by attaching it to a thread can help to enhance the texture and style of the room. 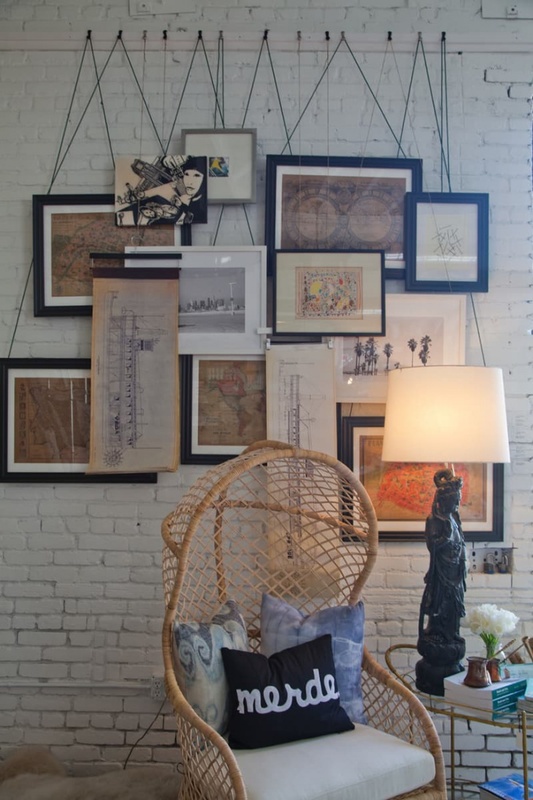 Overlapping wall art can be achieved by hanging multiple pieces in an interesting collage. 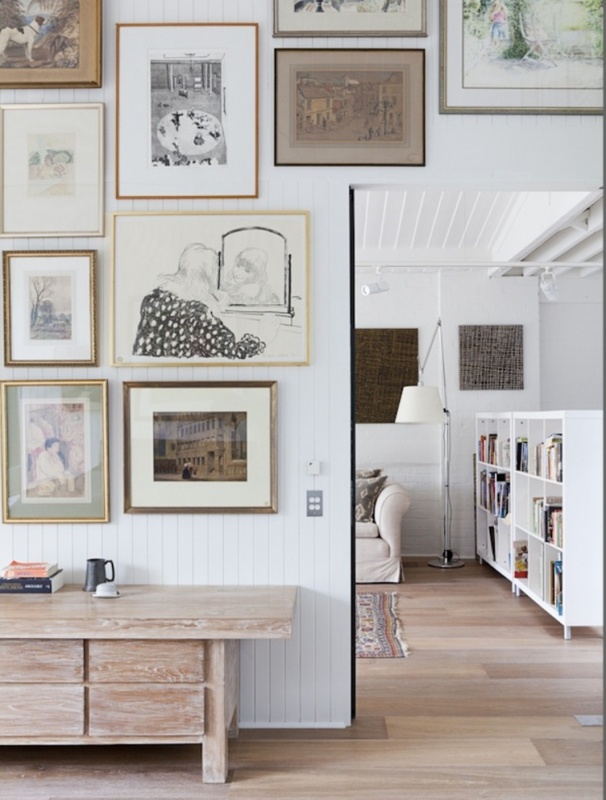 Hang the paintings with a cord and secure the cords to the wall. Arrange and line up your artworks in a vertical setup by keeping an equal distance between the paintings. You can always vary the paintings in the length and style to bring fun and balance to your wall space. 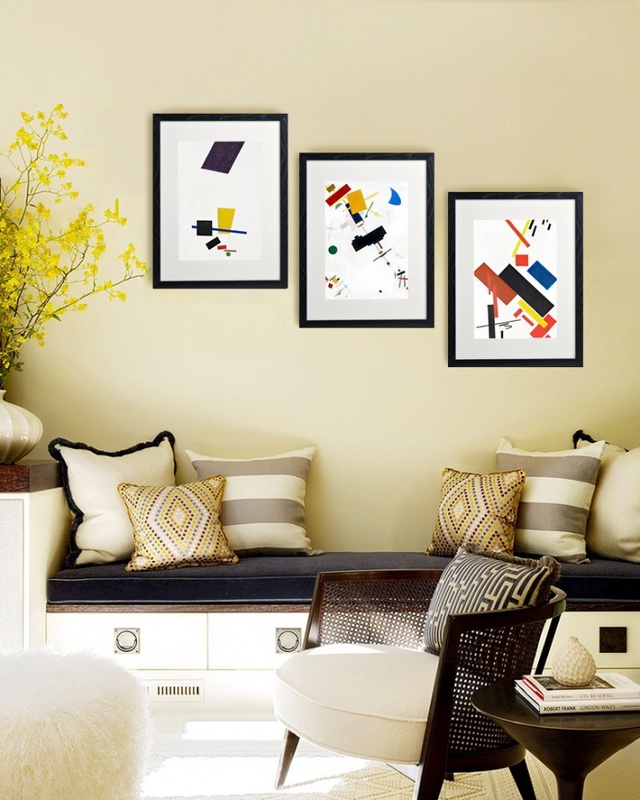 It is not always the walls in your home that can be decorated with artwork, even unusual spots like area below the stairs can be occupied to exhibit and arrange the artwork in an interesting pattern that includes square and rectangle shapes. 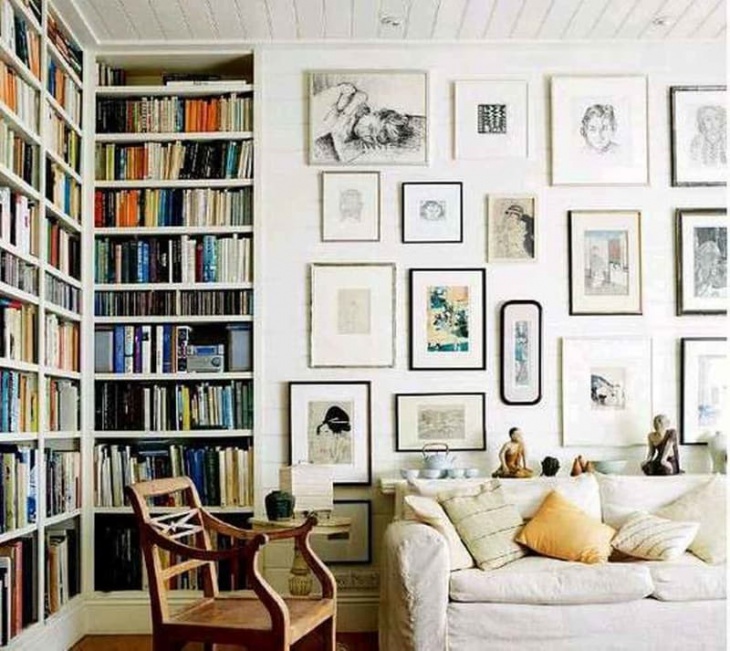 If you have a good collection of artworks, one interesting way to arrange it would be in a close grid pattern by starting at the eye level and slowing ascending and descending to the ceiling and floor space respectively. 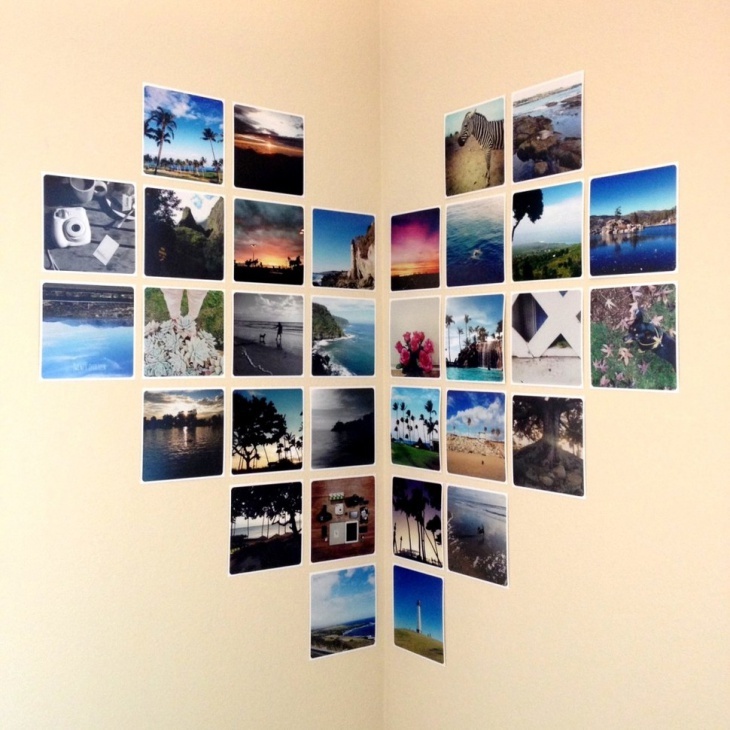 Play around with the size and shape and we are sure your close grid gallery space will look pleasant and put together. 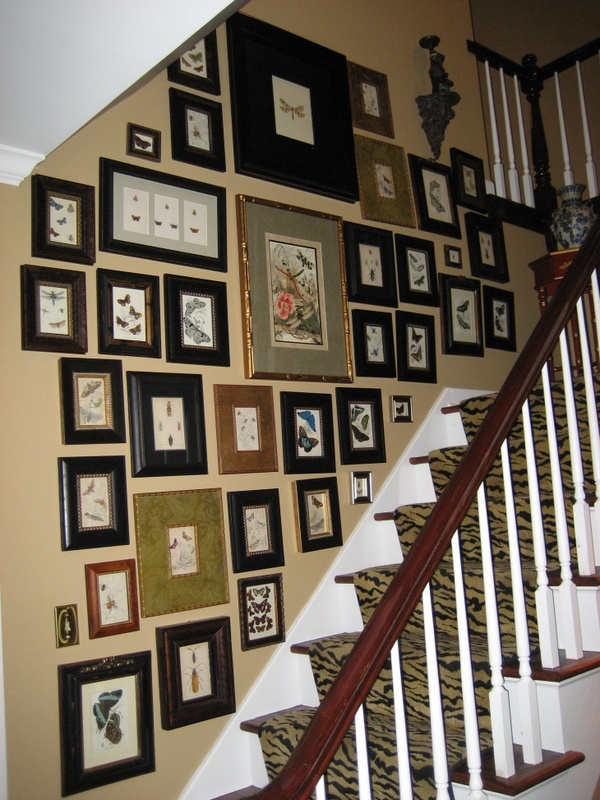 If you wish to be daring with the artwork arrangement, we suggest you try this. 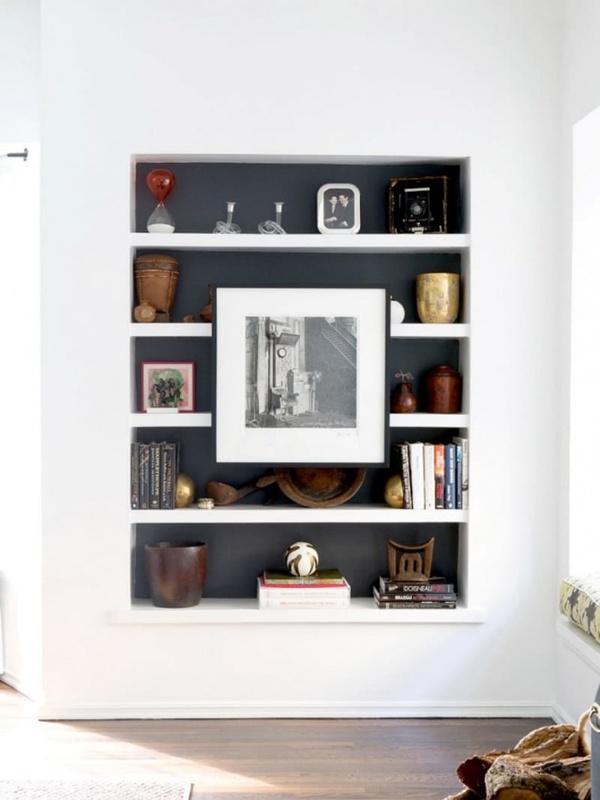 Place your favourite piece of artwork on the front centre of a bookcase or built-in shelves. It is for sure a full proof way to get your favourite artwork noticed. If you have a wall behind your couch in living room, try and cover it up completely with artworks, this arrangement can help to make your normal looking wall acts a headboard and central point for the room. You can arrange the artwork in an interesting inverted L shape format by giving a symmetrical edge to the pattern and then shuffle and play around with the shapes of the frame on the inside. If you don’t want to opt for the simple ordinary wall as a base for your artworks, you can also utilise the angular space in your room. Place half of your painting on one side of the wall and another half on other. The angle space in your room helps to add drama to your painting arrangement. 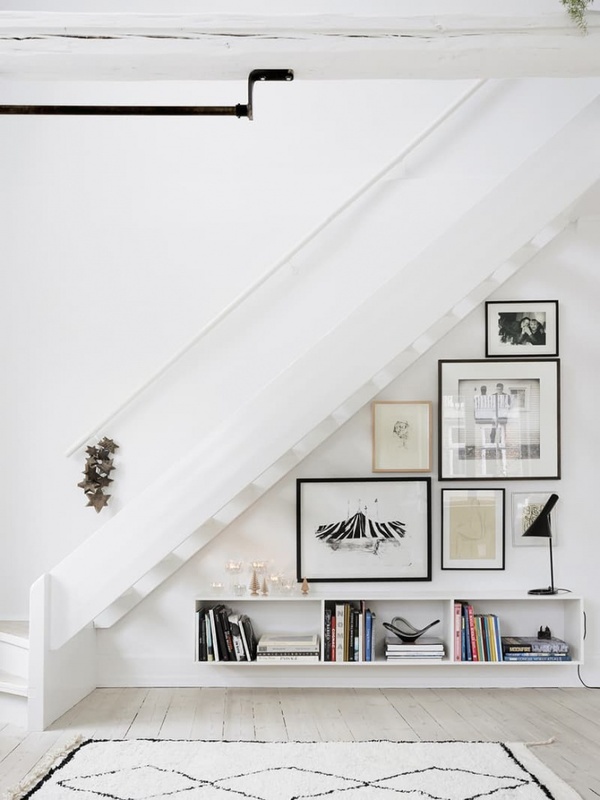 You can also utilise the huge space adjacent to the stairs for making the space as a personal canvas for arranging the artwork in unique design and pattern. Hang, place or tie, the artwork in a peculiar and gripping arrangement can always manage to make the room artistic and intriguing.